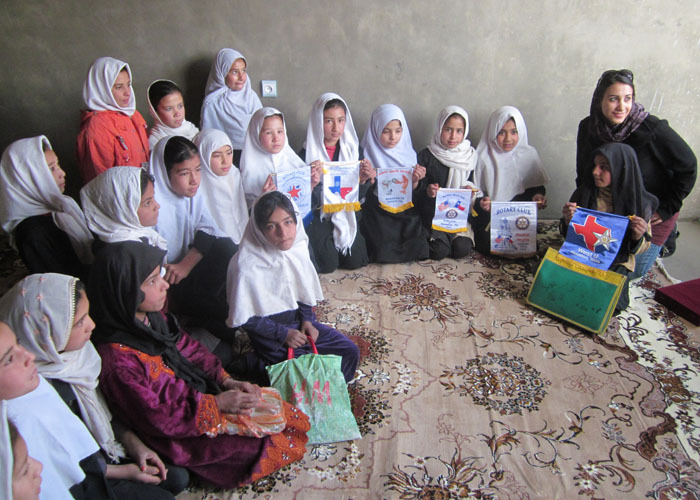 The District 5890 Foundation Conference featured speaker was Nicole Heydari who lead a project in Afghanistan to fund and construct 4 classrooms for the Chehelton Middle school in Kabul. 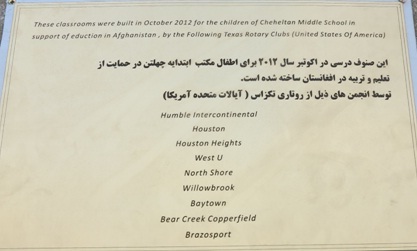 Contributions for this project came from District 5890 and the Rotary Clubs featured on the plaque shown below. Notice that the student in the middle of this picture is holding a Willowbrook Rotary Club banner. The school had previously held classes in the open or under tents without any permanent class facilities.